1. IAS ABHIYAN Test Series is for the individual only. In case a student is found involved in any violation of copyrights of test series, the admission to the test series will stand automatically cancelled. 2. The Test Series will be provided through PDF Form only and will be sent to your subscribed mail id. So please give your correct mail-id. 3. The Previous Year Test Series-2018 (Complete 25 Tests will be provided freely to all our subscribers) to their subscribed mail id. As lot of questions were asked in 2018 Prelims, which was in news in 2016 so out monthly current affairs test from June-2017 to April-2019 will surely help you a lot in 2019 Prelims Exam. 4. It is a self-evaluation Test Series programme where you have to prepare from the standard sources, give mocks and then check where you stand. 5. After successful subscription attach your Transaction ID /Personal details at / or for taking necessary steps at this end. 6. Fee once paid is non-refundable and non-transferable in all circumstances. 7. IAS ABHIYAN reserves all rights to make any changes in test series schedule, if need so arises. 8. 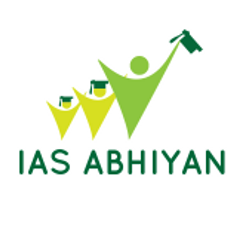 IAS ABHIYAN reserves all rights related to admission of Test Series. After successful subscription wait for our mail for confirmation. 9. Lastly please do not create any cases in Instamojo as like Tests are not downloadable at the time of subscription. We value your money and trust us we provide you the best to deal with the unexpected questions in the upcoming exam. Q. Can I download the tests as pdf? Before Subscribing to the test series be very sure, whether you want to subscribe or not, once you have subscribed our tests, it takes a lot of effort on our part to provide the best quality tests along with their detailed explanations. There will be no refund in any case, we will provide what we have promised above, we have kept the fee to the lowest possible amount to run this website where we share our free initiatives like Important Issues for Mains, Crux of Editorials, Topic for Prelims, Prelims facts Corner, Inside the PIB and lot more. As a follower of our site, we believe that you will subscribe to this test series and continue to support.